RTɠcontinued to dominated the top most viewed programmes. 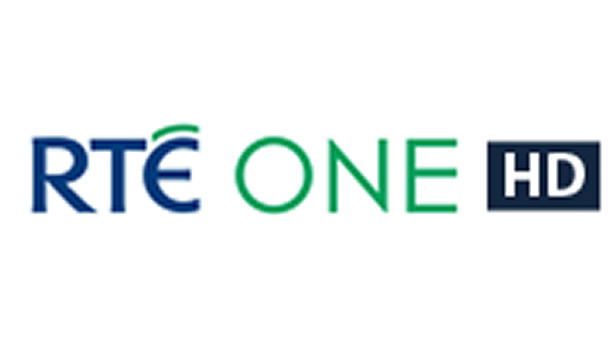 Both RTɠONE and 2 saw entries into the the top twenty shows with no showings for TV3, eir Sport or TG4. Overall RTɠwas down 2% in 2017, TV3 was up 2% from last year and TG4 was up 5% and eirSport was down 63% from last year, largely due to its exit from Virgin Media\\\\\\\'s platform. The new multi-million euro Luas Link up has official open, on time and on budget. The government were out in full force with An Taoiseach, Leo Varadkar, Minister for Transport, Tourism and Sport, Shane Ross and Minister for Finance and Public Expenditure and Reform, Paschal Donohoe, opening the new extended line. The line re-opens part of the northsides original tram lines. The new line will like up the Green and Red Luas lines, with 13 additional stops on the northside for the the green line. Forget the resignation of An Tainiste, Frances Fitzgerald, a few weeks back. Remember Leo\\\\\\\'s charge at the English Foes, at least that what seems to be the case for the FG Party\\\\\\\'s rise in popularity in the lastest Irish Times political poll. It see FG at 36% of first preference votes, while FF have see a fall back to 25%. Sinn Fein see no change at 19% of the vote, with others at 20%. An Taoiseach Leo Varadkar has given a speech to outline the solution found to retain a soft boarder on the island of Ireland. This was one of three major issues preventing the UK and the EU continuing to phase 2 of the negotiations on the exit of the UK from the EU, AKA Brexit. Citizen Rights and a financial settlement are the 2 other issues. The negotiators can now move on to work out the detail of what has been agreed and to talk about transition phase, free trade and the new relationship between the EU and the UK. In a time of austerity and a divided electorate, the Fine Geal party has at last found its nationalist creditials. FG are typically distingushed as west-Brits. 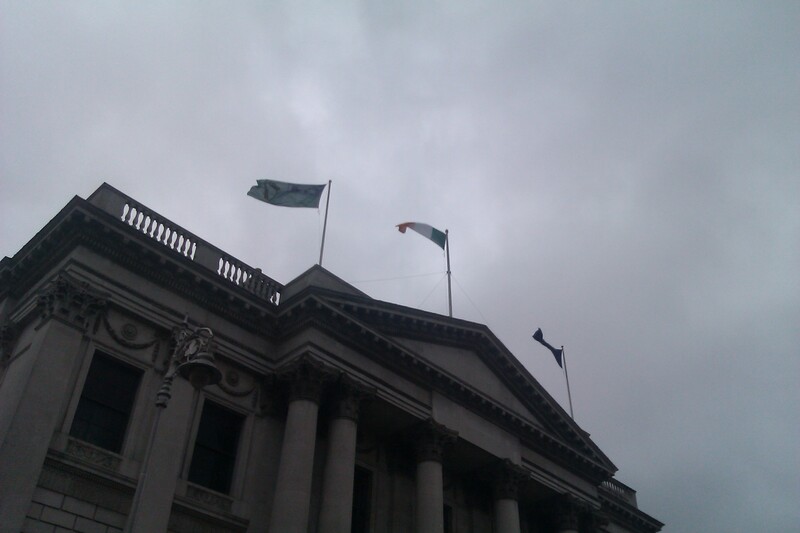 Those on the Ireland of Ireland who beleive that all is good on the mainland. As a right wing party FG have never really shown any really ambition for Ireland, or at least from the outside and for many in the electorate this seems to be the case. The nationalism however is not Irish nationalism in the real sense which is better defined as republican. An Taoiseach Leo Varkarda and his Tainiste, Simon Covney, have with Brexit are now in a position to highlight their Irishness by taking on the old foe the English, as the battle to retain an invisible boarder between north and south, this is helped by the DUPs stance that Northern Ireland should be treated no less than those in Scotland, England and Wales when travelling to the Mainland. The Irish Times have agreed to take control of Landmark media the owners of the Irish Examiner and BeatFM. This will be The Irish Times second entry into the radio market having founding 4fm in the mid-2000s, 4fm\\\\\\\'s parent company Bay Broadcasting are also due to take full control of Radio Nova, Dublin\\\\\\\'s Rock music service. The deal includes 2 radio serives based in the south-east, WLRfm (Waterford Local Radio) and Beat (the pop music service for the South East region). Local titles include Waterford Star and News, The Nationalist (Kildare and Laoise), Roscommon Hearld and Western People. Long with online services Recruit Ireland, Breaking News and Bench Warmers. The deal will have to go before The Competition and Consumer Protection Commission (CCPC), the Minister for Communications and the Broadcasting Authority of Ireland (BAI) before the transaction is complete. The seasonally adjusted unemployment rate stood at 6.1% in November. Down slightly from October, while 2016\\\\\\\'s figure stood at 7.5%. This represents little change from October according to the Central Statistics Office and a drop of -1.4% on an yearly basis. The number of people unemployed was 138,100. An Taoiseach Leo Varadkar has announced new appoints to his cabinet after the resignation of An Tᮡiste and Minister for Business, Frances Fitzgerald, amid inappropriate communications between her office and An Garda Siochana. Minister for Foreign Affairs and Trade, Simon Coveney, has been appointed as An Tᮡiste and remains in the Foreign Affairs and Trade Department. Heather Humphrey\\\\\\\'s moves from Culture to Business, Enterprise and Innovation, taking over the position vacated by Frances Fitzgerald, and Jossepha Madigan replaces Heather Huphrey\\\\\\\'s as Culture Minister. An Tᮡiste, Frances Fitzgerald, has resigned from her position of Tᮡiste and Minister for Business, Enterprise and Innovation. This follows from a string of emails, which she and the Department of Justice with held and denied their existance. The contraversy lead to motions of No Confidence being brought before the Dail. Following on from lenthly discussions between An Taoiseach, Leo Varadkar, and the Fianna Fail Leader, Micheal Martin, the resignation was accepted by An Taoiseach who now takes over her portfiolo on a temporary basis. Fianna Fail and Sinn Fein have both submitted votes of no confidence against Tᮡiste Frances Fitzgerald. An email sent to An Tᮡiste, when she was Minister for Justice, set out the legal tatics that An Garda Siochana would use against whistle-blower Maurice McCabe. The email contain unfounded allegation of sexual misconducted by the former Gaurd. The opposition parties believe that An Tᮡiste should have acted on these legal suggestions, and question why if should could not intervene how was it that this information was passed to her, this also on top of lies about the time line by the Department on when An Tᩮiste received the email. The Fine Geal Party have made a motion of confidence in An Tainiste. The Confidence and Supply agreement between FF and FG is under pressure and could lead to a pre-Christmas Election. Sinead Desmond co-host of TV3 Ireland AM has left the channel following pay difference between her and her male co-hosts, Alan Hughes and Mark Cagney. Sinead Desmond has been host of the long running morning show for 11 years, while Mark Cagney has been host since it started in 1999. Alan Hughes join the programming 15 years ago. 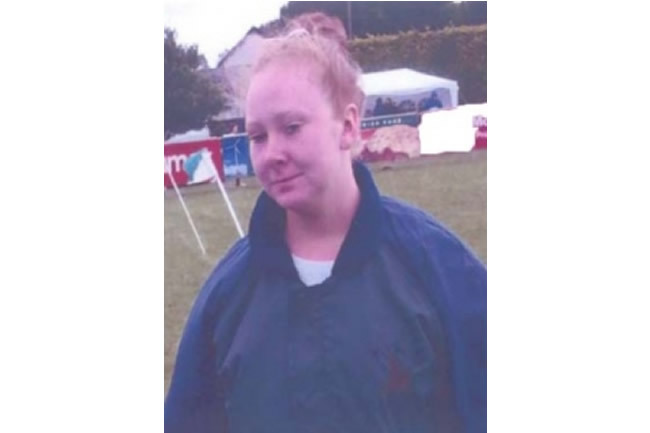 Sinead is likely to take her case to court. Possibly for unfair dismissal and pay equality. RTɠsaw their share market share decrease by 3% in October. TV3 were up 10%, while TG4 was down 25%. On a yearly basis RTɠwas up 2% from this time last year, while TV3 was up 10% and TG4 was up 13%. Overall Irish Channels saw a 6% increase in October from the same time last year. FG continue to improve in the polls. The right wing party and main party in the current minority government were on 34% in the latest opinion poll carried out by the Sunday Times, up 3 points from the last Sunday Times poll. The centre-Right party, FF were up 4 points to 31%, while centre-Left Sinn Fein was down 5 points to 15%. Others were down 3 points. Democrat Phil Murphy has taken the Governorship of New Jersey. The outgoing Republican Governor and Former Republican Presidential nominee Chris Christy supported Republican candidate Kim Guadagno. 2% of the vote went to other parties including The Green Party\\\\\\\'s Seth Kaper. Paul Murphy took 56% of the vote, with Guadagno taking 42%. Guadagno served as Lieutenant Governor under Chris Christy. The RTɠGender Pay Review has concluded. It shows a higher number of men in higher position in the organization, while women tend to be paid 4% less then their male counter parts. The report suggests that RTɠshould employ a system of positive discrimination in roles which are more traditionally male or female appointees. It also suggests a better multicultural approach to the hiring process. The report has been criticize because it did not look at high level pay for presenters. The seasonally adjusted unemployment rate stood at 6.1% in September. Unchanged from August, while 2016's figure stood at 7.5%. This represents little change from August according to the Central Statistics Office and a drop of -1.4% on an yearly basis. The number of people unemployed was 133,200, down just 200. The centre-right party ANO have won 78 seats in the Czech Republic's Chamber of Deputies, PSP, Leader Andrej Babiš is expected to become Prime Minister. Outgoing Prime Minister lost 35 seats in the election. OSD leader Petr Fiala has ruled out a coalition with the ANO, while the ANO have rule out continuing in coalition with CSSD. Sebastian Kurz's OVP political party failed to get a majority in the Austrian National Council, increasing the number of seats to 62 following the October 15th Election. Their nearest rival the SPO retain their 52 seats with the FPO increasing its seats to 51. The Green Party failed to be elected dropping all of its 20 seats, with a new alternative Green Party PILZ getting 8 seats. It is likely that Mr. Kurz will become Prime Minister. Austria may retain its grand coalition between OVP and SPO, however Austrian Chancellor Kern (SPO) is preparing for opposition following government formation talks with Kurz. 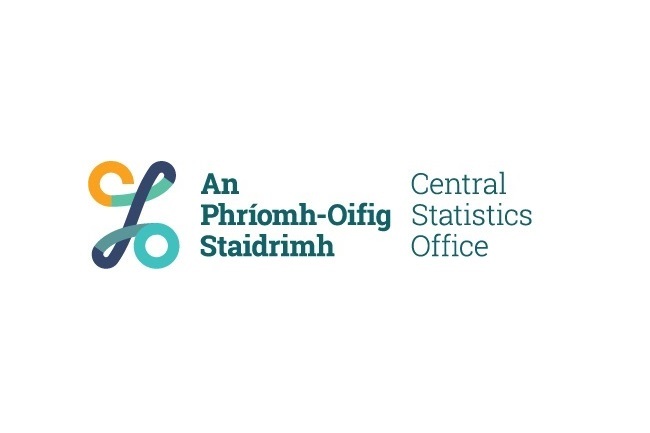 The Central Statistics Office of Ireland (CSO) are now seeking submissions on the content of the 2021 census questionnaire. The CSO made no changes to the 2016 questionnaire from 2008, following public consultation. A Census Advisory Group (CAG) will be set up consisting of Government departments, local authorities, public bodies, social partners, universities and research institutes and CSO personnel. RTɠsaw their share market share increase by 5% in August. TV3 were also up 7%, while TG4 was up 16%. On a yearly basis RTɠwas down 3% from this time last year, while TV3 was up 3% and TG4 was up 10%. Overall Irish Channels saw a 1% decrease in August from the same time last year. The Broadcasting Authority of Ireland (BAI) has written to Communicorp following its decision to ban journalists from The Irish Times. Communicorp own 5 radio stations licensed by the Authority. 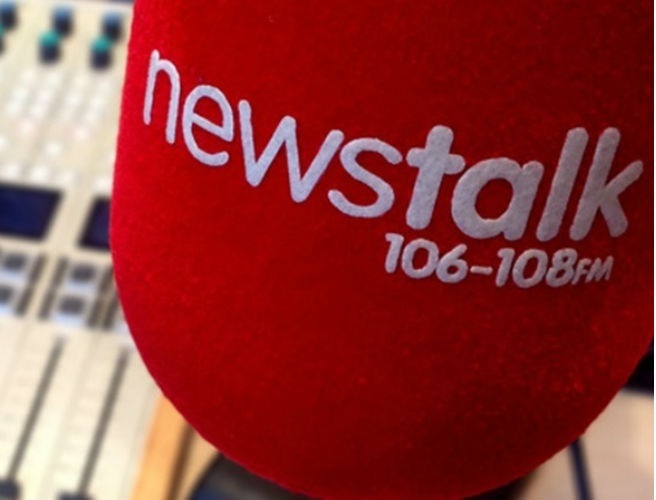 Two national services, Newstalk FM and Today FM; two music-based services operating in Dublin city and county, 98FM and Spin 1038; and, a regional, music-driven service for the south-west, Spin South West. 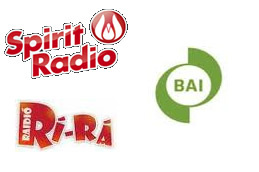 The BAI say they are concerned with the editorial independence of each station. The Catalonia Government attempted a national vote on Independence from Spain. The referendum was declared illegal by the Spanish authorities. The Spanish police force was used by the Spanish government to prevent the referendum taking place. Rather than using the military the Spanish government sent in their police force to prevent a democratic vote in military protective armour. Scene unfolded between the Spanish police and the Citizen of the region who tried to defy Spanish law attempting to take their democratic vote. The numbers of visitors from Britain to Ireland has dropped by 7.5% according to figures released by the Central Statistics Office (CSO). 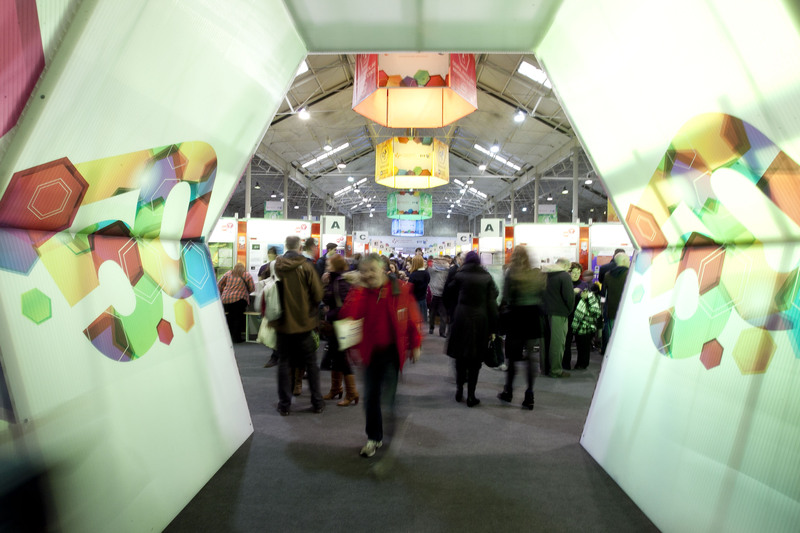 However overall the number of visitors to Ireland increased by 1.7% to 3.1 million. Europeans took up the vast majority of visitors with 2.2 million vistors from across Europe, while a small majority of those from Europe came from outside Britain with 1.1million visitors. Just under 1million visitors from outside Europe visited the country the vast majority coming from North America. 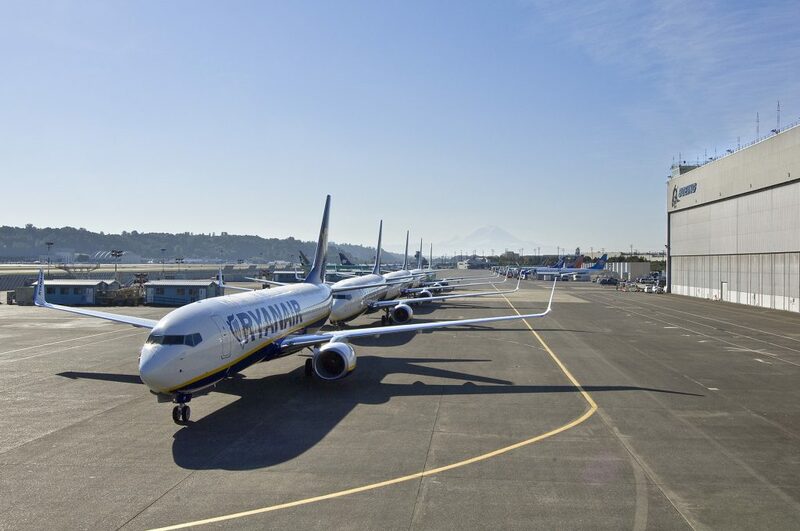 Ryanair is drop 25 aircraft between November 2017 and March 2018. It will only fly 375 out of its 400 strong fleet. It will also reduce its summer time aircafts by 10 to 435 from April 2018. The Germany Chancellor Angela Merkel has held on to power in Germany, it is likely she will continue with her Grand coalition as leader of the CDU in partnership with rival party the CSU. 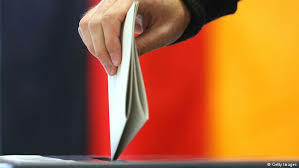 The group lost 65 seats, but it is likely that they will enter agreements with The Green Party (67) and the FDP (70). The SDP have stated they will step away from their support of the government as it lost 40 seats. The Far right national party won 94 seats up from 0 seats. The National Party of New Zealand has retained its lead in Christchurch following the New Zealand General Election on Saturday (23/9/17). Outgoing Prime Minister is excepted to retain his reign. His party lost one seat down to 58 and requires 3 more seats to enter government. There closest political partners the ACT party retained their only seat, while Labour and the Green will also negotiate with the NZ first party to see if they can form a government. Fine Gael have seen their popularity increase to 30% from 27% in the latest Sunday Business Post/Red C Opinion Poll. The Poll sees their closest rival Fianna Fail on 26% up 2 points from the last Red C poll. Sinn Fein are down 2 to 16%. Other parties down 3 points to 28%. 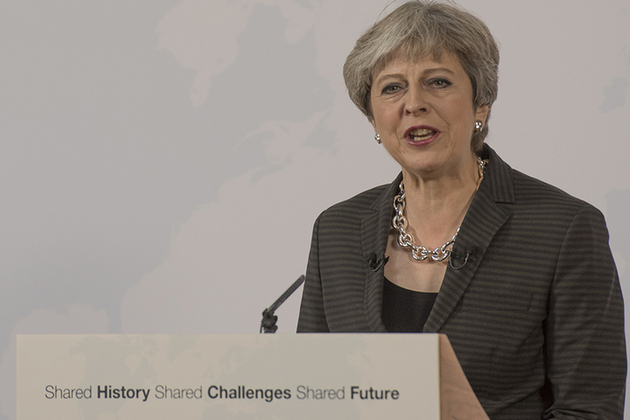 The Prime Minister of Britain has spoken in Florence on the exit of Britain from the European Union. She says this is part of the development and evolution of the EU. She says that Britain will remain a great friend of the EU. She wants to look towards the future of Europe, for all of the citizens of all the nations of Europe. She states that Britain has decided to leave the EU, to become a globally open economic area. She says that this is a defining moment for Britain. A second trail will not take place in relation to the suspected kidnapping of former Tainiste Joan Burton. This follows the acquittal of 6 following a trial in June this year. Only one person was deemed guilty and that was a child who stood trail at the Children's Court. The DPP have sent a letter to all legal team advising them that they will not proceed with the case. The Sinn Fein party have dropped 3 Wicklow county councilors from its team. Gerry O'Neill, John Snell and Oliver O'Brien are now know longer part of the Sinn Fein team. David Cullinane, Sinn Fein's President for Ireland South Cuige (branch) explained that it was hoped an internal party dispute would be resolved however the party had no choice but to expel the Councillors. Irish-Egyptian Ibrahim Halawa has been aquitted following a lengthy court case in Cario. Ibrahim was arrested 4 years ago following protests in the Egyptian captipal againist the ousting of of former president Mohamed Morsi. Fine Geal have seen an increase in the latest political poll. The Sunday Times/Behaviour and Attitudes poll was carried out from August 31st to September 12th. It shows the Fine Geal increasing its lead against Fianna Fail by 8 points, while putting Sinn Fein at 19%. Others where up one point from the previous Sunday Times poll to 22%. As Britain leaves the EU it will drag Northern Ireland out of the union. Ireland currently have 14 MEPs, 3 each in Northern Ireland and Dublin and 4 each in Southern Ireland and North Eastern Ireland. As part of the Brexit Deal the Northern Ireland Constituency will cease to be part of the EU parliment. The rest of Ireland will take on 2 of those seats, bring representation down by 1 MEP. The seasonally adjusted unemployment rate stood at 6.3% in August. Julys figure stood at 6.4%, while 2011's figure stood at 6.3%. This represents a slight monthly drop of 0.1% and a drop of -1.6% on an yearly basis. The number of people unemployed was 173,000. RTE saw a 5% gain in audience month on month for July, with RTE ONE down slight and RTE 2 up 26% from June. TV3 channels were down 7% month on month. TG4 saw a 5% increase, with no change to eir Sport 1. The Central Statistics Office of Ireland (CSO) have said that house price across Ireland are up 11% from June 2016 to June 2017. County Fingal on Dublin's Northside saw the lowest increase at 5.4% while the sunny south-east saw the biggest increase if 16%. House price remain 29% lower than their highest levels in 2007, however they are 58% higher than their lowest levels in 2013, with Dublin seeing a 73% increase from 2013. Ireland's Department of Housing, Planning and Local Government have release June's monthly Homelessness Figures. In the last week of June there where over 7,000 people homeless in Ireland, of them 2,270 where children. These figures only account for those placed in temporary accommodation. The Low Pay Commission has recommended that deductions employers can take from pay for the cost of board and lodging remain at current rates. This is on top of a 30c increase in the minimum wage. SIPTU (Services Industrial Professional and Technical Union) welcomed the announcement. If you hadn't already noticed RTÉ (Ireland's National Public Service Broadcaster) has dropped it only adult news service on its second channel RTɲ. The Children's News programme News2Day continues on the channel from September to June each year but is currently on a summer break from RTÉ 2's TRTÉ strand. The seasonally adjusted unemployment rate for June 2017 was 6.3%, down from 6.4% in May 2017 and down from 8.3% in June 2016. The seasonally adjusted number of persons unemployed was 139,400 in June 2017, down from 140,300 when compared to the May 2017 figure and a decrease of 42,100 when compared to June 2016. The Constituency Commission has reported by to the Oireachtas following from the results of the 2016 census. The Constituency Commission has recommended an addition of 2 seats bring the number of seats in the Dail to 160 from 158. Dublin will gain one seat in Dublin Central, while the second seat gain goes to Cavan-Monaghan which both become 5 seaters. The constituencies of Offaly and Laoise will merge with a number of other constituencies bring the number of constituencies down from 40 to 39. The European Parliament constituencies will have no changes made. Irish rate of suicide has dropped, just below 400 cases were reported in 2016. Of the 399 reported suicides the vast majority were among men with 318 deaths and 81 women committed suicides in 2016. The rate of suicide was 8.5% down from 9.7% in 2015 and 12.1% of all deaths in 2011. The rate of suicide among men was 13.8% with 3.4% among women. Reuters Institute has published its latest Digital News Report. 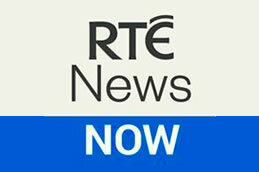 In Ireland the report is sponsored by the Broadcasting Authority of Ireland. Irish news consumers have a higher trust in their news sources than the international average. International 41% of news consumers trust their news sources with 47% of Irish people trusting their news sources. Democrat Jon Ossoff was unable to take a much need seat in congress from the Republicans. Karen Handel took the seat to the detriment of the Democratic party, as it seeks a win following the presidential election. Social Media is decrying the reporting of fatalities following the fire at Grenfell Tower last Wednesday. BBC news and other news-agencies are reporting the official death toll at 79 but those who either lived in the tower or had family in the tower are saying that the figure could reach over 200 fatalities. Irish politics is now at a crossroads. Each of the party leaders must now decided if they plan to stay until the next election or hand the torch over to their successor. Each party has their own problems with this process. 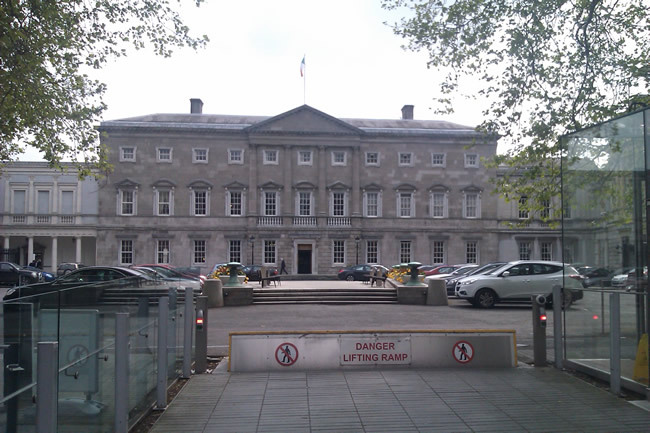 The current largest party of the Dail faces the problem that the incumbent, Enda Kenny, will be unable to install his successor before he calls a general election. The Social Democrats Leader resigns from party. Stephen Donnelly one of the three leaders of the Social Democrats has left the his position of co-leader of the Social Democrats, a party set up by leading independent TDs before the last general election. Roisin Shorthal and Catherine Murphy remain as co-leaders and as of yet the party has no plans to vote in a single leader, but as a third of their TD's leave the party the position may become available. RTÉ's General Election Televised will air tonight live from Limerick, the first time a leaders debate has been held outside of the Capital City. The second debate of the election with just 1 more to follow. 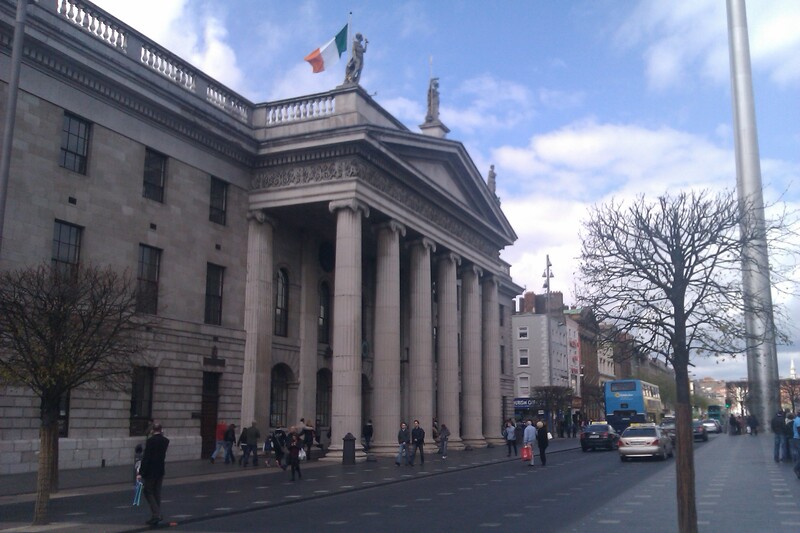 The next will be on RTÉ One live from Dublin, as the proposed TG4 debate has been called off. Seven parties are due to debate, with The Green Party excluded following a short legal battle earlier today. The parties will debate their policies for the next 5 years and in some cases beyond. Labour just launched its manifesto, and the current polls show Fine Gael at 28%, Labour at 8%, Fianna Fail at 18%, Sinn Fein at 20%, Social Democrats on 4%, AAA-PBP 3%, The Green Party at 2%, Renua at 1% and Independents at 16%. TV3 are first with the General Election Televised debates. This is the first debate of the election with 3 more to follow. The next will be on RTÉ One live from Limerick, followed by TG4 and then the final show down on RTÉ One. The main parties debate their policies for the next 5 years and in some cases beyond. Fianna Fail just launched its manifesto, and Paddy Power had the first Election Campaign Poll. Showing Fine Gael at 30%, Labour at 8%, Fianna Fail at 18%, Sinn Fein at 17% Other Parties at 9% and Independents at 16%. The Debate will broadcast live on TV3 and Newstalk from the Virgin Media's HD Studio's in Dublin at 9pm. Broadcasting is becoming old fashioned but both the Right and the Left of the political spectrum have huge interest in the National Broadcasters. Renua plan is simple cut the License Fee and retain just €56million from the Department of Social Protection for the procurement of Public Service broadcasters from different sources. The proposal is cost neutral according to the Party. As such RTÉ must stand on its own two feet. So why the problem with such a simple and, for many voters, an agreeable plan. Good news for the government parties coming into the General Election 2016 as the Central Statistics Office suggests that unemployment has fallen in January 2016. The figures released show that the Seasonally adjusted unemployment rate was at 8.6% this compares to 10.1% this time last year. The total number of people unemployed in January 2016 was 186,700, this is a change of -3,000 from December 2015. General Election 2016 is officially underway, even if an official date has yet to be announced. Posters are going up in constituencies and the media are talking coalitions. Which parties will other parties do business with and even which independent TD will they do a deal with? What are their red line issues, which must be implemented over the lifetime of the next government? Largely few are willing to discuss the make-up of the opposition benches. I have only met Pat Rabbitte, former Labour Party Leader, once. First impressions last as they say. I found him to be rude and powerless, this was at the height of his career as Minister for Communications. I decided to rush down to Cork to go to RTÉ's 50th celebrations at UCC. It was made up of the usual heads and a few of the public. Actually having it in Cork meant that much of the Dublin media were absent, meaning a slightly better conversation about Broadcasting in Ireland. Irish TV broadcasters are experiencing one of their worst years ever. Even the arrival of UTV Ireland and the biggest sporting events of 2015 failed to boost audiences. The highest audience share for all Irish TV channels was 48.26% and by November all of the broadcasters had lost 3% of their total audience with the biggest loss of viewers by TV3. The lowest audience share was in July with just 42.4% of viewers watching Irish TV channels. We take a look at the problems faced by each of the channels over the last 11 months and what they can expect for December 2015. The Competition and Consumer Protection Commission (CCPC) has paved the way for the acquisition of TV3 by Virgin Media Ireland (Liberty Global). The news comes following a number of failed attempts by TV3 owners Doughty Hanson to sell the company following its acquisition of the broadcaster in 2006 for €265 million from Canwest and ITV. The deal means that Liberty Global will buy TV3 via Virgin Media Ireland for an estimated €80 million, a fraction of the 2006 price. The rate of unemployment in Ireland has remain at 9.7%, this compares to a figure of 11.4% in June 2014. According to the just 500 people came of the live register in June since May. This means the figure has remained unchanged. The Seven O Clock Show is getting the same average audience as Ireland AM and 85% less than programmes airing during that time slot in 2014. The show has gained no ground in the last 5 months on the air with an average of just 45,000 viewers, TV3 do manage to hold on to those 45,000 viewers for TV3 News at 8 but this compares with an average of 140,000 viewers in that time slot a year ago. The hearts and minds of Irish people across the world are today with the friends and families of the young people who have died in a tragic accident in Berkley, California. There are no words to describe the sadness and feelings of Irish people today. Catherine Murphy's Statement to the dail about the IRBC, Denis O'Brien and her bill to bring IRBC under the powers and functions of the Comptroller and Auditor General. 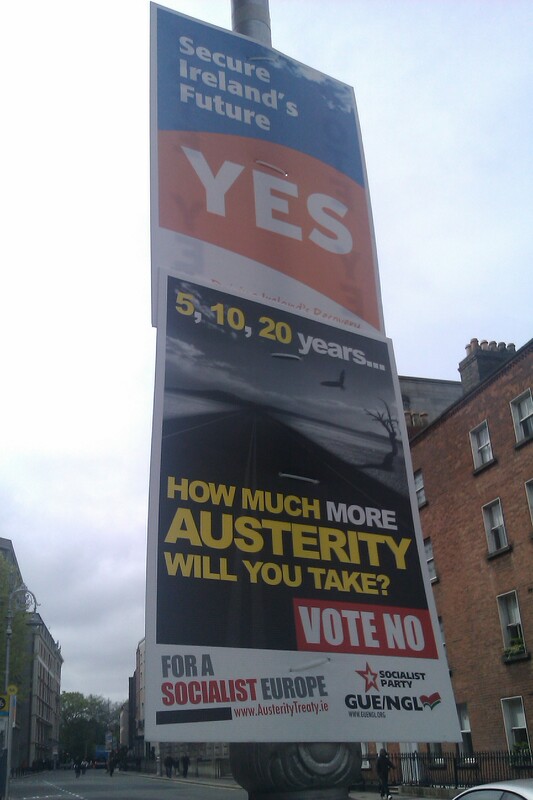 With thanks to broadsheet.ie and Catherine Murphy, TD. Results of the UK's general election. The Exit poll will be announced by the BBC at 10pm tonight. We will list all of the elected members of the election as they arrive in. The exit poll carried out by the BBC suggests the Conservatives will have 316 seats just 10 short of a majority, while their coalition partners will just retain 10 seats. UKIP are unlikely to make major gains suggesting just 2 seats, while it is expected that the SNP could take all but one Scottish seat. No exit poll was carried out in Northern Ireland. With the exit of Phil Hogan to Brussels, Carlow-Kilkenny is the 5th by-election since the general election 2011. 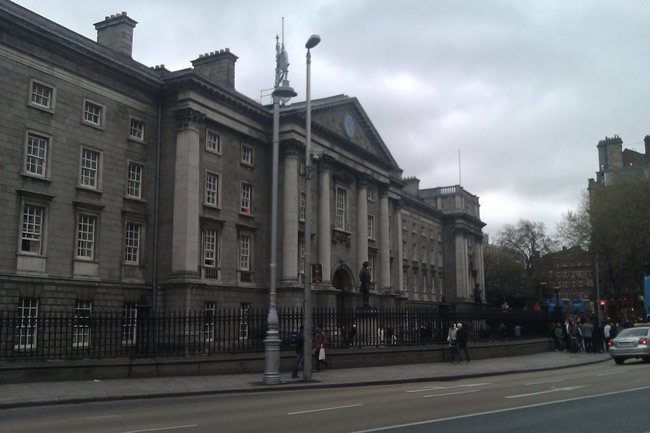 By-elections take place when a member of the Dail (TD) vacates their seat. In this instance the seat was left vacant by the promotion of the Environment Minister to an EU commissioner. There are 9 candidates in the running for the seat. 3 women and 6 men. Bobby Aylward, Fianna Fáil, David Fitzgeral, Fine Gael, Kathleen Funchion, Sinn Féin, Breda Gardner, Independent, Patrick McKee, Renua Ireland, Conor MacLiam, Anti-Austerity Alliance, Malcolm Noonan, Green Party, Willie Quinn, Labour Party and Adrienne Wallace, People Before Profit. Why did RTÉ News Now interrupt the ITV Debate? With the arrival of UTV Ireland much of the programming that UPC customers enjoyed on UTV is available across a number of broadcasters. TV3 and RTÉ both hold some rights to ITV programming, hence why UTV Ireland doesn't carry those shows. UTV Ireland we imagine took the decision not to air the UK General election debate which aired on UTV, STV and ITV. RTÉ took the decision to air the debate on their dedicated digital news channel RTÉ News Now, but they also took the decision to interrupt that live broadcast for the RTÉ Nine O'Clock News, but why? Minister for Communications, Energy and Natural Resources, Alex White, T.D., has said he is not in favour of providing any of the licence fee to the Oireachtas for transmission costs. The Minister says he "would not be in favour of such a solution as it would further diminish the funding available to the public service broadcasters and for financing Irish public service content." The Minister also said that his department has yet to receive any request from RTÉ for new broadcasting services, as reported in The Sunday Times that RTÉ are planning to provide new services such as RTÉ2+1 and the introduction of advertising on RTÉ News Now. Irish Water is possible the biggest PR disaster in Irish political history. The government should have threaded more carefully to keep the Irish people on side. Many people across the country are as happy as they can be to pay for water, however the way in which the government introduced Irish Water has even the strongest supporter of the government feeling a bit annoyed at the carry on at the top of Irish society. Irish Water's expenditure to the ordinary person goes far beyond what they expected and to have to pay for what many feel are indulgences of the political and social elites. This leaves many with an empty feeling in their stomach, and for many it proves that change hasn't happened since the government entered office in 2011. The government should be as annoyed at the carry on in Irish Water as the public and should set about insuring that money is spent on the very things they want pushed into the media, the need to fix leeks and poluttion in the water supply. TV3 is under pressure to retain and gain an audience. It's not a task many in TV would relish. An over saturated advertising opt-out market and declining audiences for Irish TV channels from both live and on-demand content providers. Jeff Ford exits to Fox in the UK leaving his successor, Lynda McQuaid, with a massive drop in audience share from when he started back in 2009. The Irish Minister for Agriculture, Simon Coveney, T.D., announced the Irish government’s implementation of the Scottish Derogation Provision of the EU's Basic Payment Scheme. The minister outline how many farmers could not establish their entitlements under the Single Payment Scheme and as such do not hold an Allocation Right under the New Scheme. This would have left many farmers under "significant disadvantage" according to the Minister. The Irish government have stated that they have been able to negotiate the implementation of the "Scottish Derogation" with the EU Commission. Ireland is going abroad for St. Patrick's day the biggest Irish festival of the year. The Irish Government have announced their junkets for the National Day. From Adiss Ababa to Brasilia the Ministers and their entorages will hope to promote Ireland to the world as a safe place to do business. While also supporting cultural links to nations all over the world. Red Rock is Ireland's latest soap opera. A good series so far, however it audience numbers have dwindled since its first episode aired in January. This fall was to be expected with any new soap or drama however TV3's other programmes are causing Red Rock's haemorrhaging of viewers. Had Red Rock premiered on either RTÉ ONE or UTV Ireland it would have seen a huge bounce in numbers due to the different level of programming available on TV3's main competitors. No matter what the official view from the Oireachtas the public will pay for its service to broadcast on Saorview, the national free to air digital platform in Ireland. Saorview was launched in 2011 and since then OTV has remained off the service due to a dispute between the Houses of the Oireachtas and RTÉ's transmissions company, 2RN. 2RN is the company behind Ireland's broadcast infrastructure, it provides services for RTÉ, TV3, TG4 and Communicorp. It is expected that UTV Ireland will also be available on 2RN's Saorview platform. But the issue of cost has hampered much of Saorview’s development. 2RN sets the value of broadcasting a Standard Definition channel on the platform at €900,000 per year. The House of the Oireachtas are unwilling to pay this charge as they feel that 2RN is public body and should give them free passage on the public’s distribution network. TG4 have announced their programmes for 2014 and 2015. TG4's strong eye for Documentary and original drama (both home and abroad) are captured throughout the new season. Documentary’s include Torthaí na Daoirse, which recounts the strike by Dunnes Stores workers in Dublin against Apartheid in South Africa. Corp 's Anam returns for a second series of the successful crime drama series. UTV Ireland is set to start broadcasting in 2015. In August UTV Ireland set about allaying any fears that the advertisers may have about their content since the announcement that they bought Coronation Street and Emmerdale last November. The channel fleshed out its package of programming from ITV Studios, while also announcing two new presenters for the channel. Alison Comyn launched the channels meet and greet event in Dublin City. A slate of ITV programmes were announced such as Doc Martin, Prime Suspect and Mr. Selfridge. The big announcement that Pat Kenny would revive his TV career in early 2015 on UTV Ireland was left to the end. But confusing messages are being made to Ireland's TV audiences. 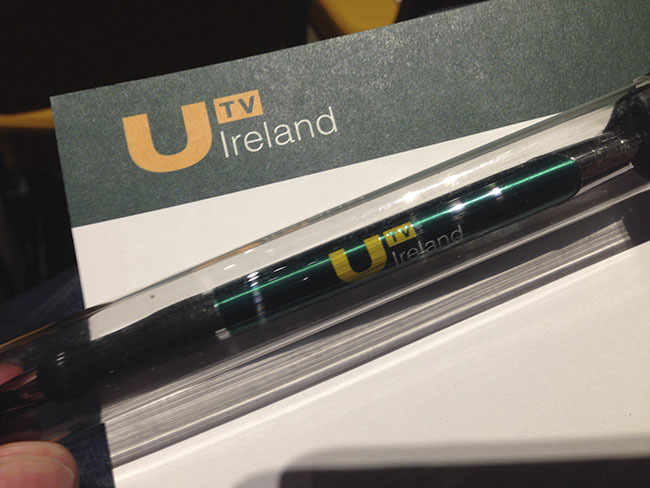 UTV Ireland are getting ready for their launch on 1 January 2015. 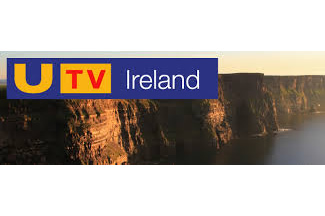 They have produced a Green and Yellow version of their standard UTV logo but with word Ireland located just beneath the TV part of the logo. The logo was launched today (19/06/2014) less than six months from their launch. The Logo Launch coincides with a meeting with independent producers and UTV's management. UTV is set to look to commission new Irish programming for the channel outside of News and Current Affairs. 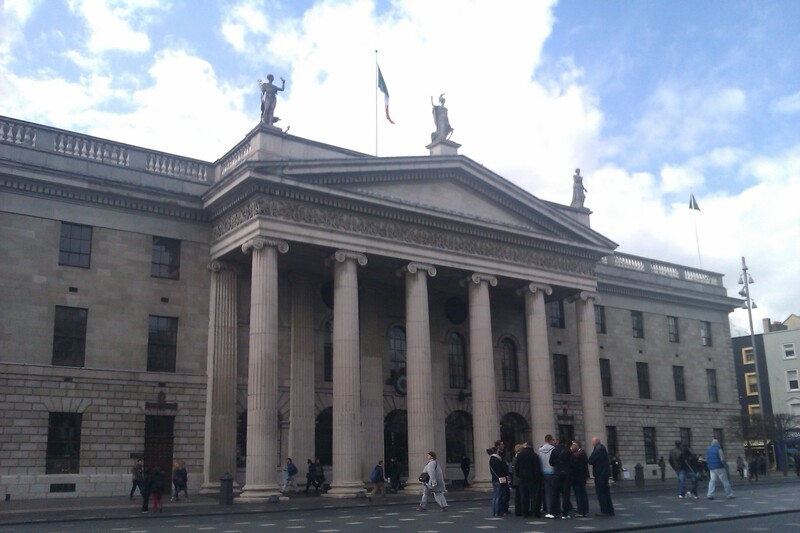 Election counts for the European and Local Elections are continuing around Ireland. Local Election counts in Northern Ireland finished on Saturday with the DUP and Sinn Fein remaining the main political parties with 130 and 105 seats respectively. The SDLP made some gains with 66 councilors across the 11 new northern councils, as did the UUP with 88 councilors elected. The Alliance Party won 32 seats with independents and others getting 41. In the Republic counting is still underway with 915 seats declared. Fianna Fail are currently leading with 259 seats across the country. They are followed by Independents and Others, with 230 seats. Sinn Féin has made major gains in the republic with 153 seats, with Fine Gael holding 223 seats. The Labour Party are currently just holding on to 50 seats, with many calling Election Day Independance Day. Minister for Communications, Pat Rabbitte T.D. 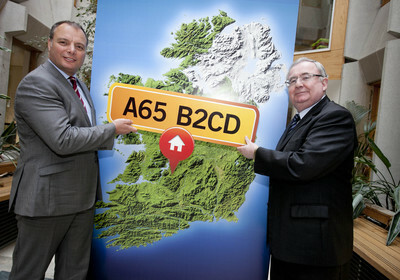 today launched Eircode, the new name for postalcodes in Ireland. This is one of the most important parts of the development of the Irish Postal Code system, it is brought together by the launch of a Logo and a Website. The local elections are to take place on 23th May 2014. The stakes are high for the government as they try to hold their own in a mid-term election. The latest polls show the government parties with 33% support (Fine Gael 25% and Labour 8%). Fianna Fáil have yet to continue with growth of the party since its downfall in the last general election, their support has risen to 25% since that election but it has since plateaued. Sinn Féin have seen continued growth with 21% in the last poll, but that support also seems to be plateauing. The last Local Elections in 2009 saw Fine Gael with 34% support, Labour with 14%, Fianna Fáil with 25% and Sinn Féin with 8% of the vote. The Central Statistics Office (CSO Ireland) have release their monthly unemployment figures. The new figures suggest a decrease for those signing on in March 2014. A total of 396,900 people were signing on in March, representing an annual decrease of 33,856 or 8%. The unemployment rate in March 2014 was 11.8%, down from 11.9% in February 2014. The Broadcasting Authority of Ireland have signed a broadcasting content contract with "UTV Ireland". It is looking more and more likely that RTÉ will retained the rights to show EastEnders in a new deal with BBC Worldwide, which extends their current agreement. The agreement includes a wide variety of genre programming for the Irish Broadcaster from Comedy to Documentary. 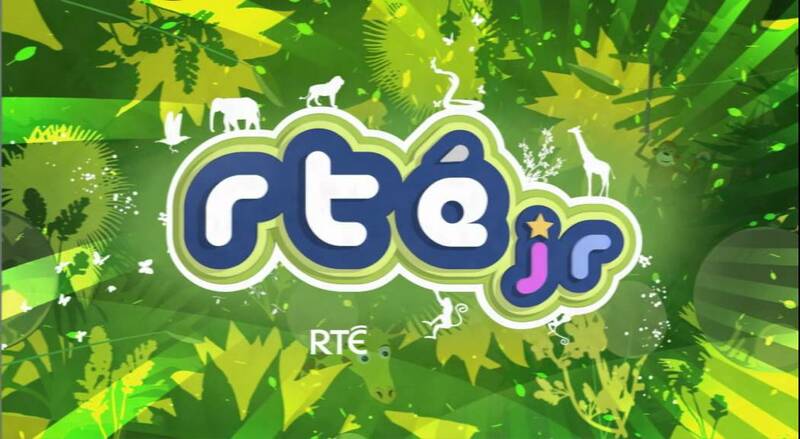 The Minister for Communication, Energy and Natural Resources, Pat Rabbitte, T.D., is expected to block RTÉ's plans to move their RTÉjr strand from RTÉ Two according to The Sunday Times. 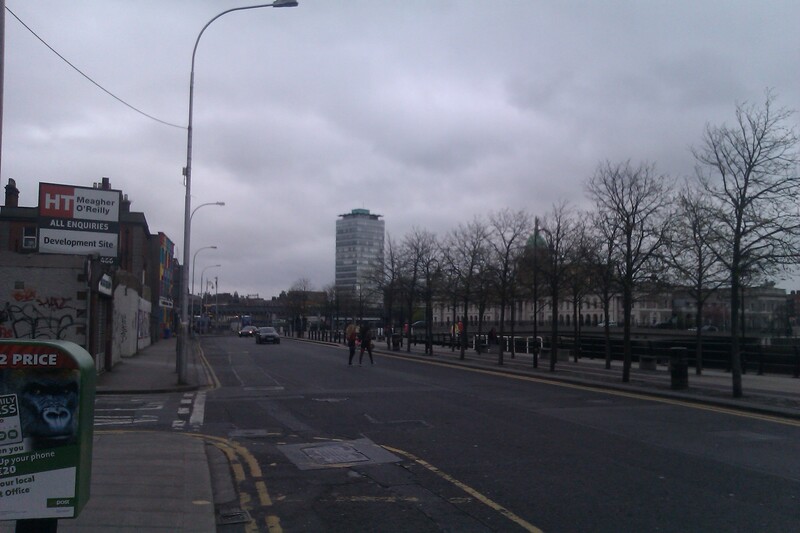 A report into the planed move was announced in April 2013 when TV3 objected to the move. The BAI submitted this report to the Minister in July 2013, in November 2013 in the Dail Minister Rabbitte said he expected to be able to make a decision shortly, he restated in the Dail that he would be make a decision shortly in Feburary 2014. 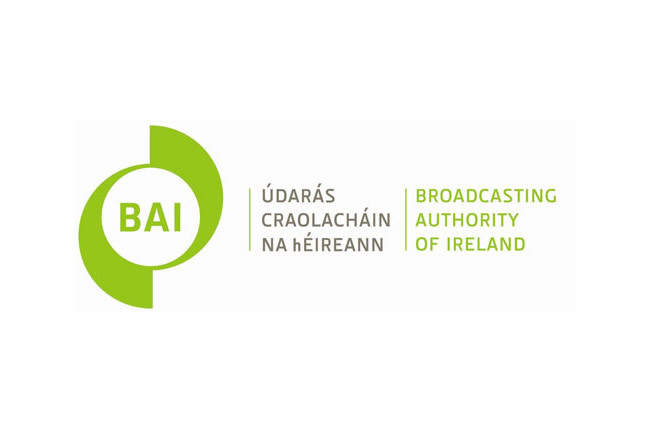 The Broadcasting Authority Of Ireland stated that they were unaware of the move during the recent Five-year Review of Public funding, however the review took place during 2013 and was published some months after RTÉ's request. Irish Postal Codes have yet to be even created. The Department of Communications, Energy and Natural Resources (DCENR) awarded a new contract to Capita Ireland to role out Postal Codes. The codes will be issued on a household by household basis much like the already available Property IDs issued by Revenue for the Local Property Tax, but unlike the unique property ID which contain just 10 digits the new postal codes will have just 7 characters with a mix of letters and numbers. The codes come into effect after 10 years after their announcement in 2005. Currently An Post, Ordnance Survey Ireland and Google Maps use GeoDirectory, which was developed by An Post and OSi. Minister for Justice and Defence, Alan Shatter T.D., has published a report into Repossessions. An expert group on repossessions was established in September 2013. The group was set up by an agreement with Troika, which was contained in their 9th review of the Memorandum of Economic and Financial Policies (MEFP). The report examined the repossession system in Ireland. 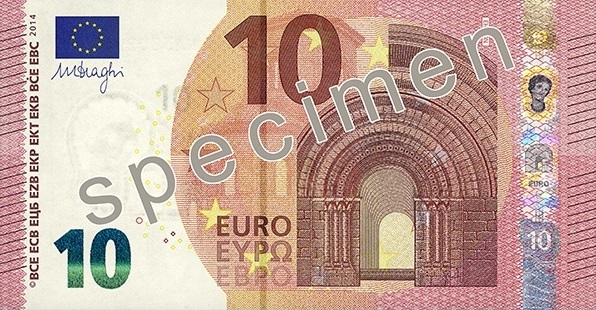 The European Central Bank (ECB) have unveiled the new 10 EURO note. The note is part of a project called "Europa". The series of notes are being introduced on a phased basis. The first note to be changed to the new Europa version was the 5 EURO note. The notes feature stronger security features. The security designs include the face of "Europa" from Greek mythology and the origin of the European continent's name. The Minister for Environment, Phil Hogan T.D., today (11/01/2013) defended the €1 million per week spent by Irish Water on consultancy fees. His party colleague Regina Doherty, T.D., also defended the spend by pointing to the massive over spends on projects by previous governments. The annual BT Young Scientist Award was announced yesterday evening (10/01/2014). Each year the best and brightest young scientists competit to win the covited title. This years winner Paul Clarke, from St. Pauls College in Dublin, won for his project titled "Contributions to Cyclic Graph Theory". Irish Water has defended its €50 million spend on expert consultants. The amount was announced by their CEO, John Tierney, on RTÉ Radio, and has since gone on to become a major issue for the new utility company. Irish Water will take over control of water services in Ireland from 34 local authorities. 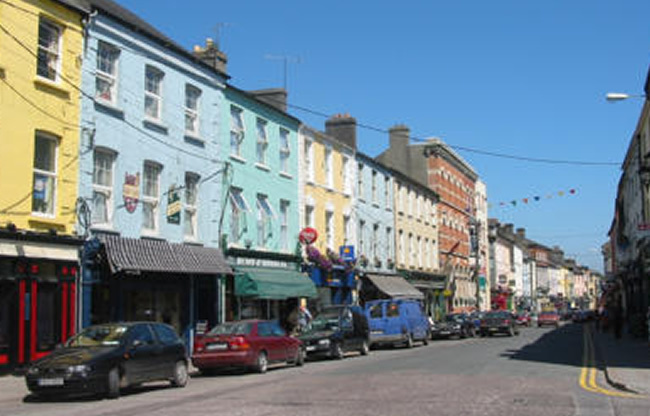 Kilkenny City has once again be announced as Ireland's cleanest Town/City by the Irish Business Against Litter (IBAL). The IBAL programme began in 2002 and this is the first year that a city retain the title. Cavan came in a close second in the IBAL, having previously won the title. Tramore in Co. Waterford came 3rd. 42 towns and cities across the country are assessed each year by the IBAL. A report by Oliver & Ohlbaum puts the final nail into the coffin of Irish Broadcasting as its findings have been published by the BAI. The report was commissioned by the BAI after the failed 2008 Commerical Digital Terrestrial TV licensing round, which saw big players Communicorp, UPC, RTÉ, TV3 and Eircom all pull out of negotiations with RTÉ's 2RN. The report was formally given to the BAI in August 2013 and has just been published today. Saorview was launched in 2011 with a tiny number of channels in comparison to its European counterparts. Ards Borough Council are inviting residents and traders in Donaghadee to discuss new design proposals for the town. The £2.5 million project includes plans for new Marine Gardens at Shore Street, new planters, seating and railings to add colour and vibrancy, with slimline, tapered lighting columns to ensure views of buildings within the town's conservation area are enhanced. Materials for the project have been chosen to fit with the built heritage of Donahadee. The rich maritime heritage of the town will be depicted in inlays around the town. TV3's 2013 was up and down. Financial pressures increased during the year with the decision by the government to sell on TV3's loan book as part of the liquidation of IRBC (formally Anglo Irish Bank) and the continued dip in advertising revenue through out the year. In November the announcement that many of TV3's top shows would move to UTV in early 2015 was a surprise blow to the channel. Since that announcement TV3 have been able to hold on to some of its top shows, including Downton Abbey and The X Factor. TV3 then announced that its owners Doughty Hanson (DH) had bought back their loan book from the government at a discount, preventing such loans ending up as part of NAMA. Ennis will host the annual Irish Christmas Tree Throwing Championship on Sunday, 5th January 2014 from 13:00 until 16:00 at Active Ennis Tim Smyth Park, Ennis, Co. Clare. The event is organised by Ennis Town Council and Clare County Council and the proceeds of the event will go to the Clare Branch of Cystic Fibrosis Ireland. The event is common across Germany and Austria. Last years winner was John O'Dea from Co. Limerick who launched his Christmas tree 10.2 metres, just 2 metres short of the world record held by German Klaus Pubnaz. The contestants must throw a standard 1.5 meter tree. The Minister for Health, James Reilly, T.D., has approved the HSE Service plan 2014, which will see the HSE save €619million. The plan hopes to protect safety, quality and the volume of front-line services, with €178million of new service initiatives. The HSE has also said that €113million in savings will not come from medical card holders. The HSE has been given €13.12 billion worth of funding from the exchequer for 2014, this is a reduction of €619million from 2013. 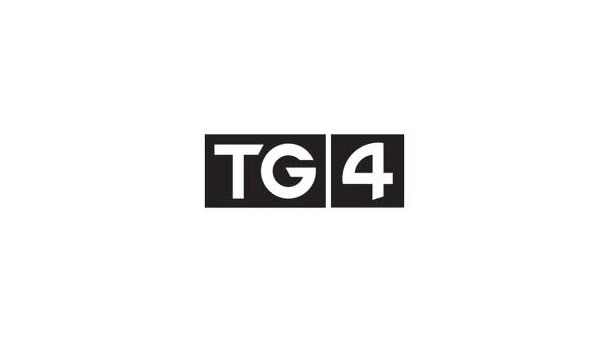 The Department of Communications, Energy and Natural Resources (DCENR) have announced that it is to fund a new capital project for TG4. The project was launched by the Minister (Pat Rabbitte, T.D.) at TG4 Headquarters in Baile na hAbhann. 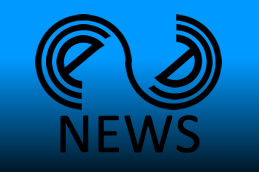 The project receive €690,000 from DCENR. The Minister met with the board of TG4 and visited the state of the art studios in the Gaeltach region of Co. Galway. The Union representing employees of Bord Gáis Energy has issued a statement saying that it is disappointed that the Government have decided to sell the profitable semi-state company to a consortium headed up by Centrica Plc. The union and workers heard of the deal in the media on Thursday 12th December. The Art Council has announced that it is to set up a €150,000 Laureate award for Irish Fiction. It is hoped the award will help to encourage the next generation of Irish fiction writers. The award is supported by University College Dublin (UCD) and New York University (NYU). The Irish Times will be the media partner of the award. 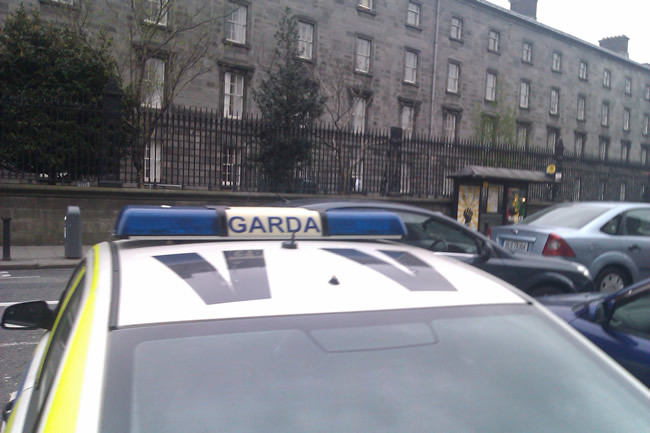 Gardaí have arrested a man in his 30s following an armed robbery in Killiney on the 13th of December 2013. A firearm was recovered. 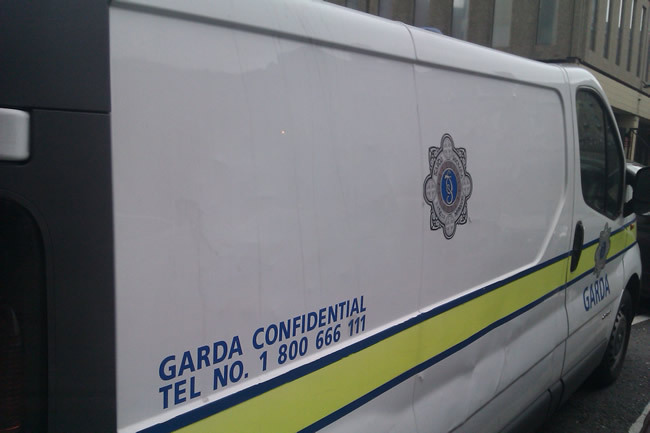 The lone gunman entered a building society at Killiney Shopping Centre at 12:00. He threatened staff with a handgun before leaving the scene on foot with a sum of cash. 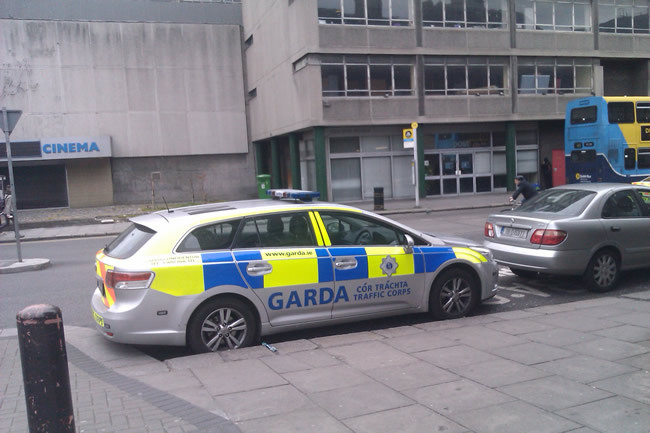 A member of the Garda Traffic Corps arrested the man near the scene of the crime. The handgun and cash were recovered. No shots were fired during the incident. Dun Laoghaire-Rathdown County Council (DLRCC) have instructed that Glenalbyn Swimming Pool be closed due to public safety concerns. DLRCC are the owners of the complex, which is operated by DLR Leisure Services Ltd. Structural Engineers Horgan Lynch submitted a report to DLRCC. The Council's town Capital Projects Engineering Team examined the report and advised that DLRCC should close the pool with immediate effect. Saorview will launch their second HD channel on the platform. 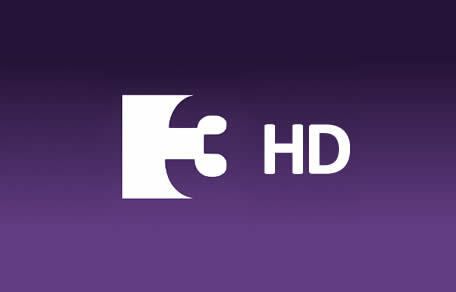 Currently just RTÉ TWO HD is available on the national free-to-air network. 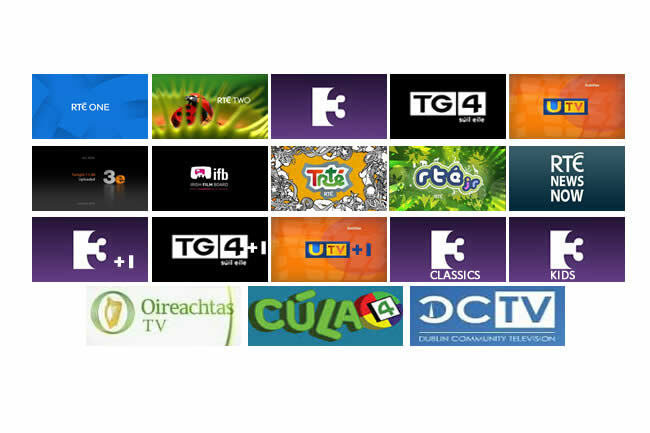 TG4 and TV3 have yet to launch on the platform in HD, however TG4 HD is available the pay-platform UPC. The launch comes just in time for Christmas and the many christmas movies that are available over the christmas period on the Channel. The second mux from RTÉ recently opened, and viewers had been asked over the last few week to retune their sets on the Saorview platform. RTÉ One, RTÉ One+1 and RTÉjr all moved over to the second mux, this is in the antispation of the arrival of RTÉ One HD. The Coalition Parties (Fine Gael and Labour) have seen their support increase in the latest poll carried out by Ipsos/MRBI for The Irish Times. The poll shows Fine Gael up 4% to 30% with their coalition partners Labour up 3% to 9%. The main opposition parties have seen little or no change to their support. Fianna Fáil remains at 22%, while Sinn Féin are down 2% to 21%. Support for independents is down 5% to 18%. 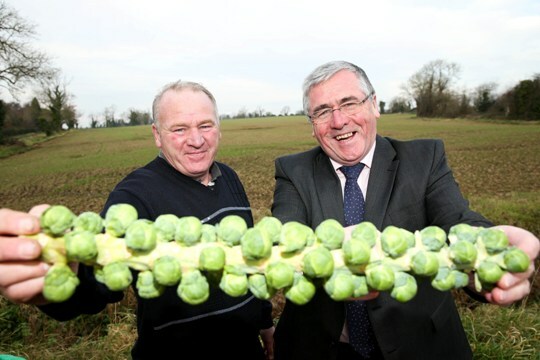 The promotion of Irish food this Christmas continues as the Brussels Sprouts are into harvest. Demand over the coming weeks will increase for the traditional vegetable on most Christmas dinners. With one north county Dublin farmer saying that 33% of the total crop will be harvested during the month of December to meet the demand. Minister of State, Tom Hayes, at the Department of Agriculture visited Enda Weldon's farm in north County Dublin this week as part of a wider promotion of the consumption Irish vegetables by Irish consumers. TG4 and Ollscoil na hÉireann Gaillimh (NUIG) are looking for members of the public to join a new Viewer Panel (Painéal Lucht Féachana) for TG4. The Panel's aim is to capture the viewing habits and preferences of Irish Speakers (Phobal na Gaeilge). Membership of the panel is aimed at Irish speakers through out the country (ar fud na tíre). The researchers are looking for fluent Irish speakers over the age of 15 (15 bliana d’aois nó os a chionn) to take part in The Panel. Workers at Marks and Spencer will strike in the run up the Christmas. A blow to the retailer as SIPTU members have balloted in favour of a strike during one of the busiest times for retail. The one day strike is happening today the 7/12/2013. The protest is at managements decision to unilaterally close the workers' defined benefit pension scheme. SIPTU represents about 140 of the M&S work force. The union was not consulted when it was announced that the defined benefit scheme would close on the 31st of October. Two more work stoppages will take place on Thursday 7th of December and Friday 20th December 2013. An Taisce (The Irish National Trust) has decided to bring the British Government to court following what it calls an unlawful decision to grant permission to build and operate a new, two-reactor nuclear power station at Hinkley Point, Somerset, 150 miles from the Irish Coast. The Central Statistics Office (CSO) has announced its monthly unemployment figure at 12.5%, which is slightly down from October's 12.6%. The seasonally adjusted quarterly figure for the 3rd quarter of 2013 the unemployment rate stood at 12.8%. 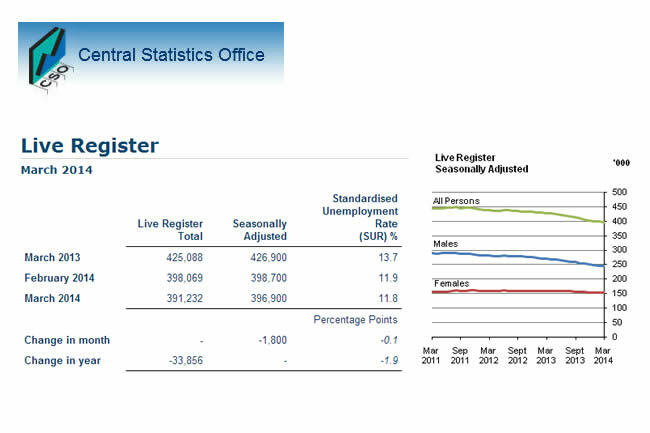 The live register saw a drop of 3,400 in November 2013, reducing the seasonally adjusted total to 406,200 unemployed. In November 2012 432,900 were unemployed. 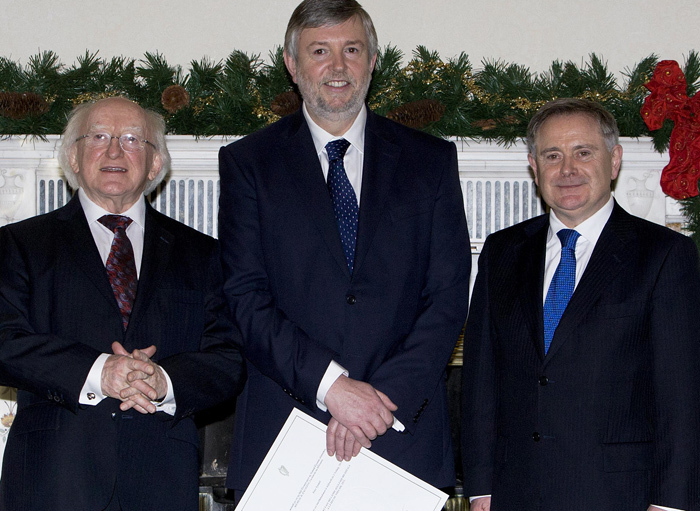 President Michael D. Higgins officiated at the appointment ceremony of Ireland's Ombudsman and Information Commissioner. Peter Tyndall takes over the position from Emily O'Reilly as Ombudsman and Information Commissioner. 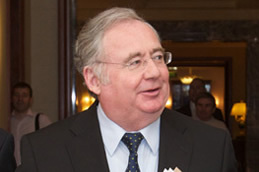 Mr. Tyndall was Public Service Ombudsman for Wales from 2008 to 2013. He was formally appointed by Minister for Public Reform, Brendan Howlin T.D. The Office of the Ombudsman and Information Commissioner remit was extended in 2012 and allows complaints from the public to a wide range of public bodies. The Irish and Japanese governments have signed an agreement where Irish beef products will return to Japan after a 12 year absence. 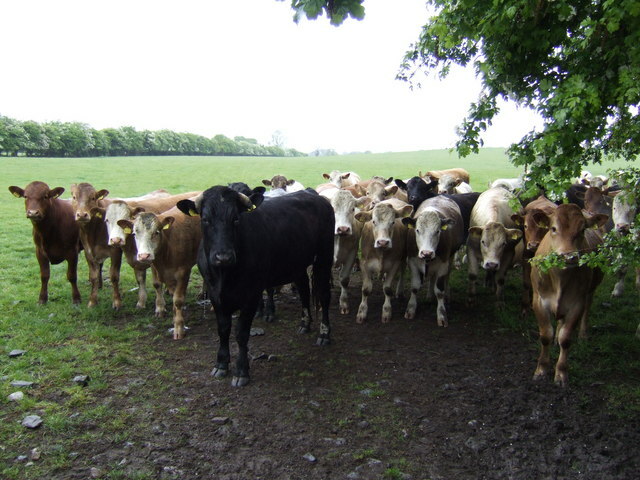 The ban on Irish beef was put in place by Japan at the height of the BSE scare in 2001. The Irish Minister for Agriculture, Simon Coveney T.D., and Irish Taoiseach lead a trade delegation to Japan in hopes to secure agricultural treaties and agreements between the two nations. The Minister and An Taoiseach were part of a trade delegation consisting of Bord Bia, Teagasc and IBEC. Minister Coveney met with his Japanese counterpart Mr. Yoshimasa Hayashi, Japan's Minister for Agriculture, Forestry and Fisheries. Social Justice Ireland has published it latest set of statistics on the Irish Economic Crash. Titled "Who Really Took the Hits During Ireland's Bailout?" it shows that the poorest 10% of the Irish population lost 18.4% of disposable income compared to 11.4% among the richest 10% since 2008. The gap between low and middle income people and high income earners has widened significantly. According to Social Justice Ireland the budgets have taken more in percentage terms from the poorest than from the richest in society. Work on Bandon's drainage system was due to take place in 2011 and 2012. 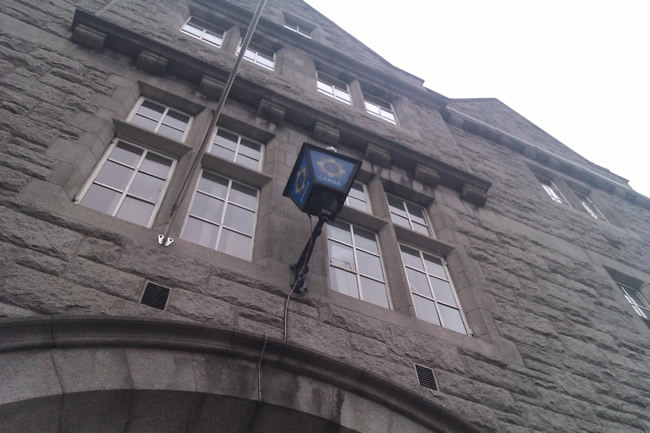 The work was suspended in 2013 by Cork County Council. 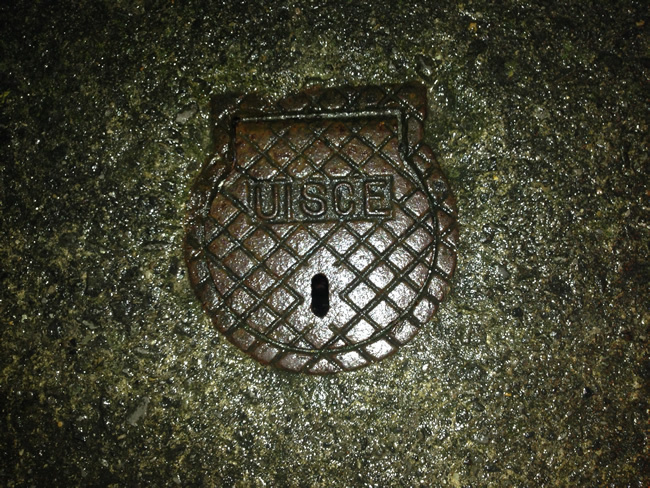 Town Councillors were told this week that the Bandon scheme would have to look for funding through the newly established Uisce Éireann. The CSO (Central Statistics Office) has announced the average weekly earnings. €675.53 is the weekly rate of pay or €35,127 per annum. The average working week is 32 hours per week. The CSO also announced that they have estimated a decrease in the numbers unemployed. 12.8% are now on the live register. There are 2.1 million people in the labour force with 1.4 million not in the labour force. Northern Ireland's Minister for Regional Development has announced that Car Parks under the control of the North's Department of Regional Development will reduced the cost of car parking in the region over the Christmas period. Minister Danny Kennedy (UUP) made the announcement about 25 towns that will benefit from the special Christmas parking rate. Pat Flanagan has been announced as Sligo's football manager. 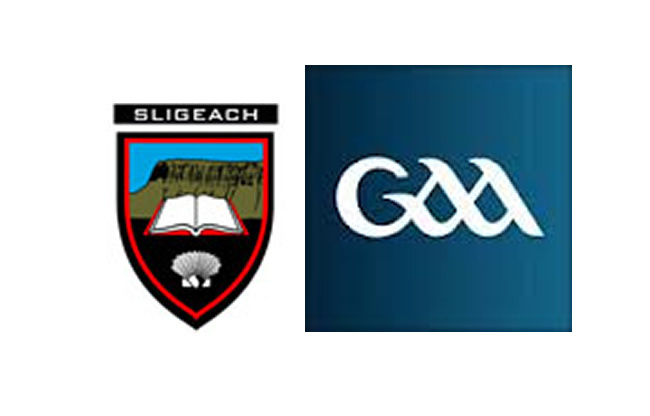 The announcement was made on Monday night (25/11/13) by the Sligo County Board. He takes over from Kevin Walsh after he left the position after a disappointing 2013 season for the county. Pat Flanagan is a former Westmeath manager and he has been given a one year contract. SIPTU, Ireland's largest union, has called on the government to provide more Youth Training. According to CSO figures for 2012 there were more than 45,000 under 25s not in employment, education or training. The government is due to sign a European agreen which will see €6billion directed towards a Youth Guarantee scheme. The ASTI (Association of Secondary Teachers Ireland) has donated €10,000 to the Filipino relief effort. The Philippines experiences some of the worst storms the islands have ever seen. 4 million children in the Philippines have been affected by Typhoon Haiyan. The donation is in direct response to UNICEF's call for aid. The Irish government and Enterprise Ireland have announce a five year plan to attract Indian students to Ireland. 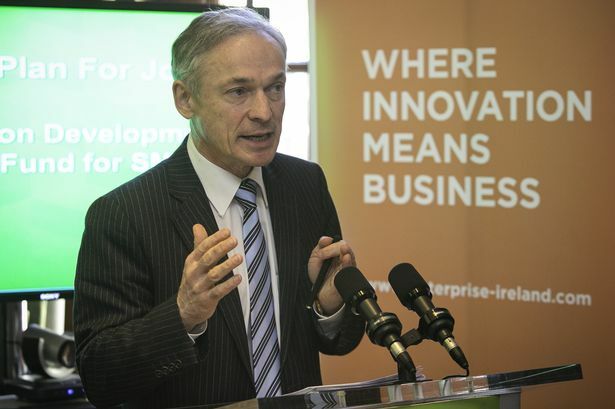 The Minister for Jobs, Enterprise and Innovation, Richard Bruton, announced that Ireland is on track to more than double the number of Indian Students in third level education at Irish universities and colleges. These students bring in €50million in fee income and a further €50million on accommodation, services and other expenditure. The Tánaiste, Eamon Gilmore T.D., has condemn terrorist attacks in Beirut that happen yesterday morning (Tuesday, 19/11/2013). He extended his sympathies to the families of those killed in the attack. Ireland remains committed to peace in the Lebanon through its contribution to the UNIFIL peace-keeping mission. 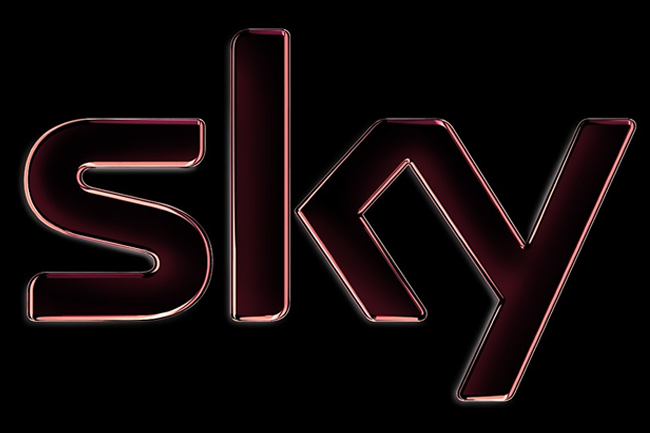 BSkyB have announce that they are to add an additional 14 channels to their SkyGo service. The 14 new channels are to be added to SkyGo's existing line up and will provided the widest range of entertainment channel available online. The 14 channels are:- MTV, Comedy Central, GOLD, Watch, Dave, Alibi, Nat Geo, Nat Geo Wild, Discovery, TLC, Animal Planet, History, Good Food, and Eden. Trinity College Dublin (TCD) have announced a three year study undertaken by TCD's Institute for Neuroscience. The research are looking to recruit 300 participant for its De-Stress project which will study the stress levels and cognitive functions of people providing care to dementia sufferers. The study is conducted in association with TCD's NEIL programme. The researchers are looking for people aged over 50 who are looking after their spouse or partner with dementia at home. The study is funded by the Alzheimer Society of Ireland and the Health Research Board under the Medical Research Charities Group funding scheme. Microsoft's announcement that the new Xbox gaming system is an all-in-one entertainment systems has excited gamers after a light launch of the rival PS4. 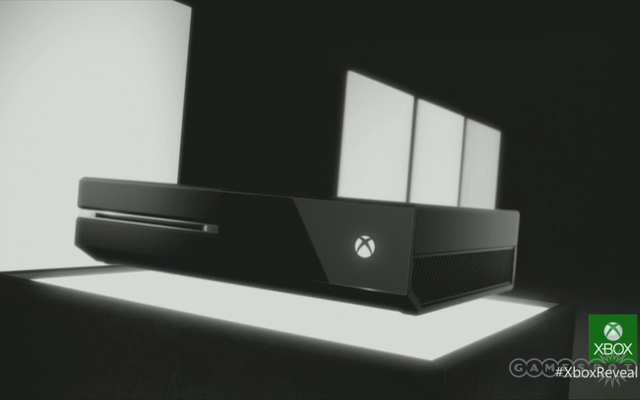 Microsoft are read for a November launch date with a range of services announced for the new XBox ONE.Be Amazed! TG4 (The Irish Language Broadcaster) has published its Annual Report for 2011. TG4 employs 100 people and indirectly supports 300 jobs in the TV production sector. In 2010 it provided €58m to the economy, while supporting some additional 1000 jobs. In 2011 TG4 produced 1615 of new programming. TG4 received awards for An Píopa, Na Cloigne and 1916 Seachtar na Cásca.